Swansea is playing host to a new Mini Popup Market to celebrate National Vegetarian Week. Swansea Vegfest Vegan takeover will be on Saturday 20th May at 10am – 4pm at Swansea Market. There will be vegan food, vegan cosmetics, vegan demos, and a childrens area. To prepare, we want to showcase the best places that in Swansea that can cater to vegan diners. 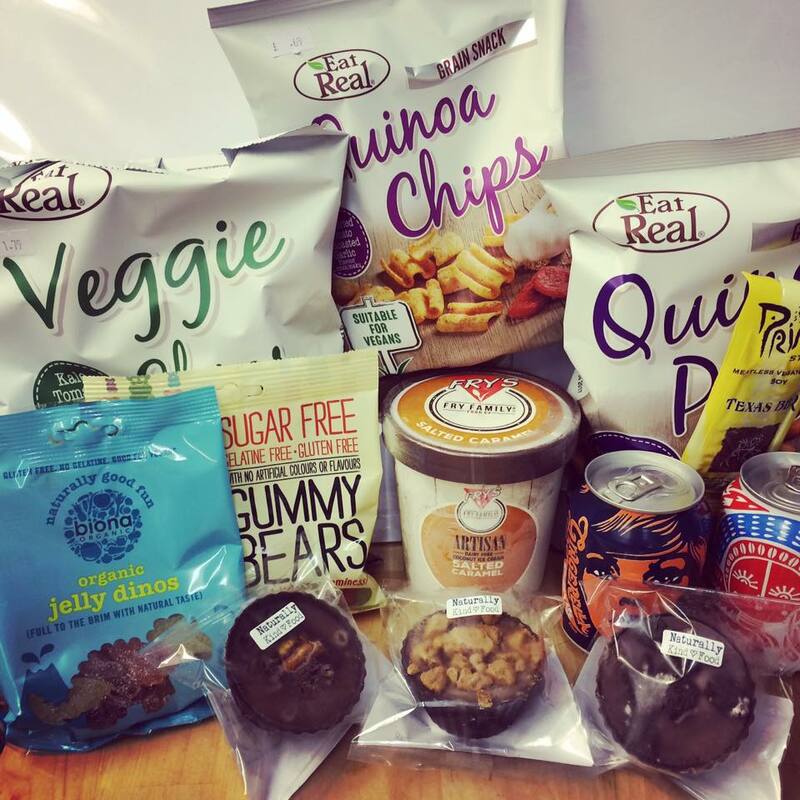 Your one stop shop for all things Vegan – and it is A MUST to visit when you’re in Swansea. For a taste of what Brontosaurus has to offer, take a look on their Facebook page. Images & information has been taken from Brontosaurus Vegan Lifestyle Store’s Facebook page. Govinda’s is a vegetarian/vegan cafe offering freshly prepared nutritious meals from around the world. 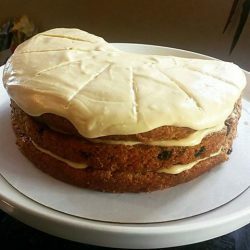 They offer a range of main meals, side dishes, snacks, desserts and treats… like this AMAZING-looking vegan carrot cake (with a vegan cream cheese topping). You can take a look at their menu on Govindas website. Images & information has been taken from Govinda’s website & social media. 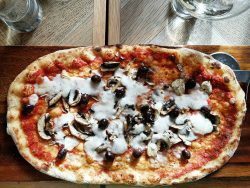 Fancy a vegan pizza? Just ASK! With freshly prepared dishes made with simple delicious ingredients, at ASK Italian they want to do everything they can so you too can eat like an Italian. 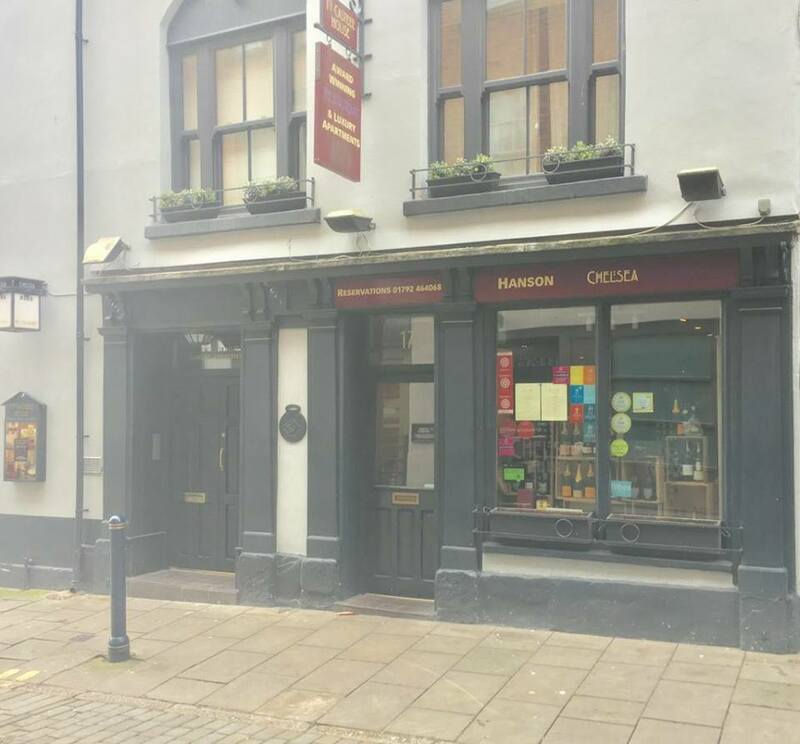 Swansea ASK Italian’s Vegan Menu is on their website. Images & information has been taken from ASK Italian’s website & social media. Copper Bar has it all! Craft Beer, Speciality Coffee & Artisan Food. It’s an outlet from Swansea microbrewery Boss Brewing Company with a focus on craft products. They even have a porch where you can sit back and take in the breeze while you enjoy your food & drink. Paninis made to order: Peanut Butter & Strawberry, Falafel & Green Chilli Sauce, Banana & Tahini. Vegan Wines: Pinot Grigio, Shiraz, and a sparkline rosé. Keep up to date with Copper Bar by liking their Facebook page. Images & information have been provided by Copper Bar. Since February this year, Jamaican Jills, have been serving authentic Jamaican food, exotic cocktails with the best reggae music in Swansea City Centre! 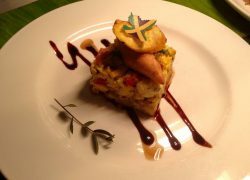 And if you’re vegan and looking for a bit of Jamaican flavour, their Ackee and Mushrooms is a must to try! Keep up to date with their news by liking them on Facebook. Image & information have been provided by Jamaican Jills. In the mood for a pizza? Pizza Express has got you covered! Main Meal: Pianta Pizza – Spinach, closed cup mushroom, pine kernels, artichoke, tomato, chilli flakes and garlic oil finished with rocket, extra virgin olive oil and fresh parsley. No cheese. Available as Classic or Romana. Dessert: Leggera Raspberry Sorbet served with fresh mint. 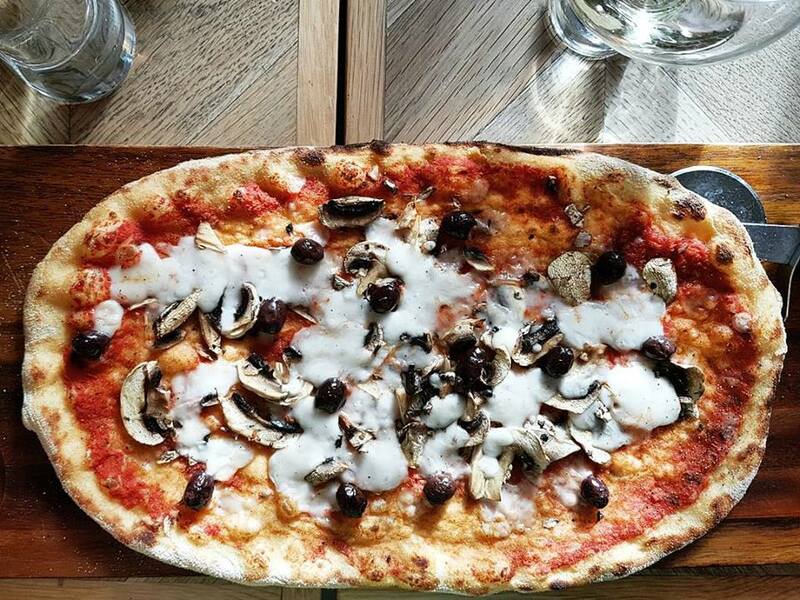 Images & information has been taken from Pizza Express’ website. 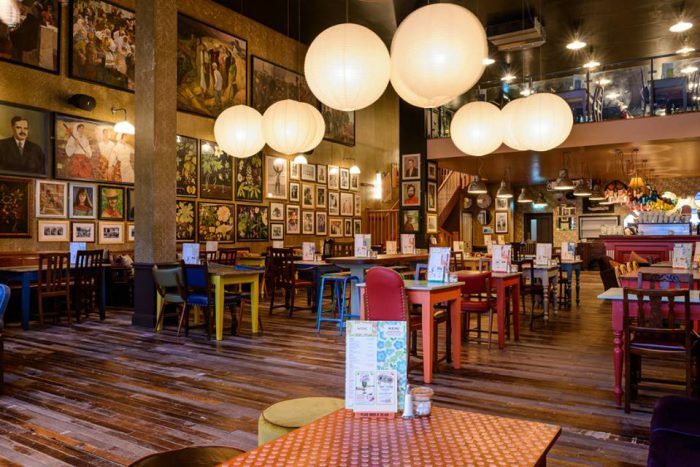 Las Iguanas has brought a taste of Latin life to Castle Square in the shadow of Swansea with a menu of sizzling South American favourites! 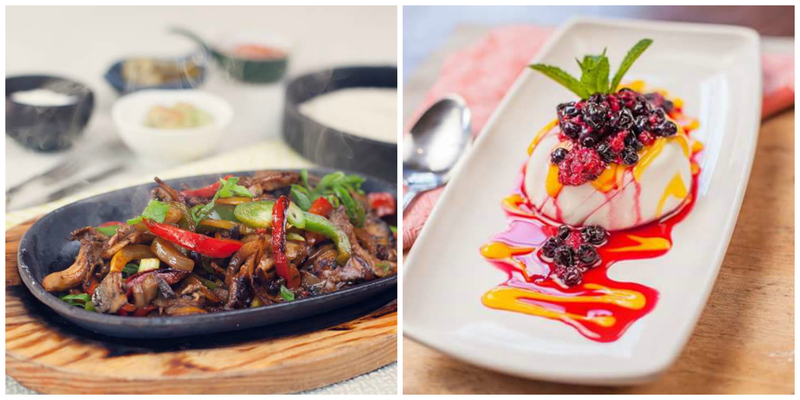 Great choice with great flavours suitable for vegans, including Portobello Mushroom Fajitas & Tembleque (photos below). Take a look at their full menu on their website. Images & information have been provided by Las Iguanas Swansea. Images & information have been provided by No. 6 Bar Swansea. Starvin’ Jacks offers a number of Vegan meals on their menu. Their fresh Salad Bar offers eight vegan options, and you can add a Jacket Potato to create your own Vegan Jack Special. Fillings include Humus, Salad and Olives in their Paninis, Baguettes and Sandwiches. They also have Homemade Soups including Farmhouse Vegetable suitable for Vegans. You can also enjoy the excellent locally roasted Coaltown Coffee with Soya Milk everyday ! 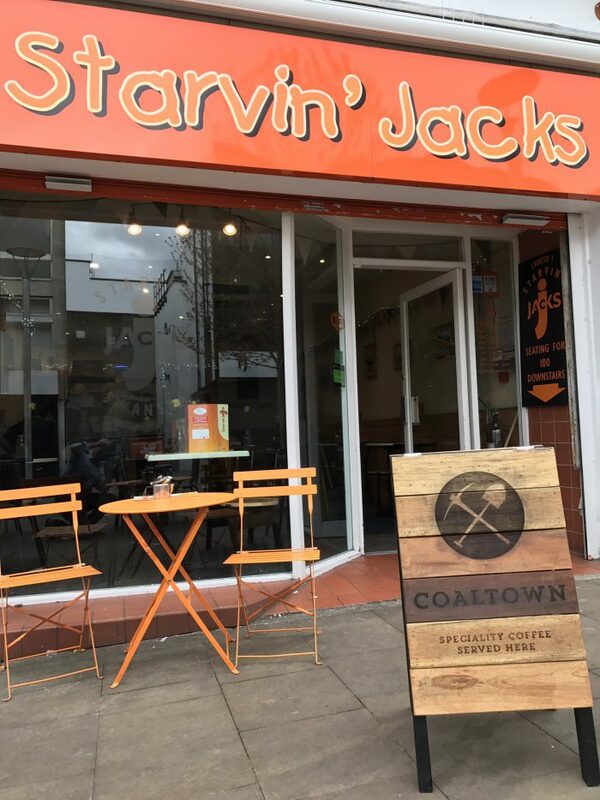 Keep up to date with Starvin’ Jacks by liking their Facebook page. Images taken from Starvin’ Jacks website & information from Starvin’ Jacks. Zinco Lounge is a home from home offering delicious food and drinks, all day – in the heart of Swansea. They have board games for big and small guests, toys for the really wee ones, and even refreshment for their canine guests. Old or young, big or small – just pop along and they’ll look after you! 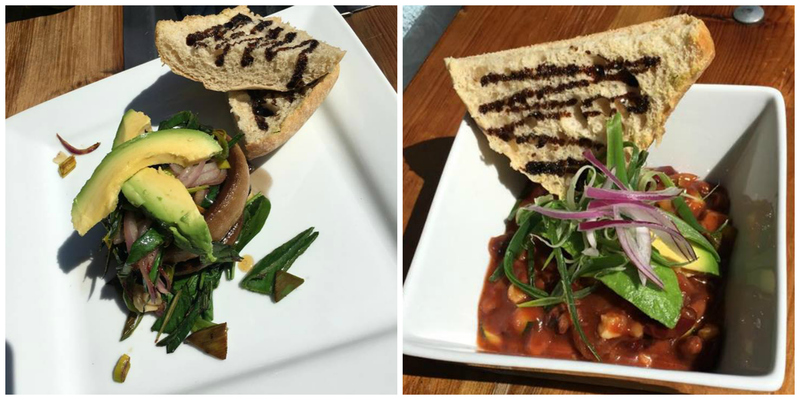 Zinco Lounge has vegan options brunch, tapas, salads, and mains! Take a look at their vegan menu on their website. Images & information has been taken from Zinco Lounge’s website & social media. Tucked away from the nightlife of Wind Street, Hanson at the Chelsea is an award-winning restaurant that uses the finest local ingredients and produce, serving clean and natural flavour that reflect the seasons. It is the only restaurant in the area with two AA rosettes. Hanson at the Chelsea caters for vegetarians and vegans, offering a beautiful menu using locally sourced, fresh vegetables. On their vegan menu, they serve a delicious Roast Mediterranean Vegetable Tart on tomato and basil sauce, and a Button Mushroom Stroganoff served with baked pilaf rice. Find their Vegan Menu on their website. Images & information has been taken from Hanson at the Chelsea Restaurant’s website & social media. The information provided in this blog is gathered from third party sites and was correct at the time of posting. We (Swansea BID and Big Heart of Swansea) cannot be held responsible for any mis-information and/or cancelling of events. We advise that you contact any third parties for clarification of information (including terms & conditions, opening times, dietary requirements, general business information etc.) to avoid any confusion. The above information does not form an affiliation with these businesses nor does it form a recommendation of services and/or products.